From the central square of Saint Briac (Place de la Poste), take the rue de la Mairie and go past the bookstore. Continue for 200m and turn left on rue de Pleurtuit. At the end of the street, at the stop sign, you will come across the D603 junction. Go straight through the junction, direction Ploubalay Pleurtuit. From there, you can follow the Salamandre Cottage signs. You will pass tennis courts on your left and the Pont Laurin campground on your right. Keep going straight ahead and after 200 metres, at the top of a small hill, you will arrive at a fork (the “Ville Assier”); go left in the direction of Pleurtuit. Continue on for 800 metres, to “la Ville aux Samsons”. At the junction, turn right. After about 600 meters, you will pass “Le Petit Bois Pleurtuit”. Continue another 50 meters and you will find the Bois Pertuit hamlet where Salamandre Cottage is located. You can park your car on the left. You can then walk through the alley across from the car park. 50 meters on your right, the third house is Salamandre Cottage. The St-Malo train station is 13 km from Salamandre Cottage. Paris – St-Malo by train is 3 hours. The Dinard-Pleurtuit-Saint-Malo Airport is 5km from Salamandre Cottage. It is directly connected to London and Guernesey. For an extra fee, we can provide a transportation service from the Pleurtuit/Dinard airport or St Malo train station. Please make a reservation for this service at least 8 days in advance. 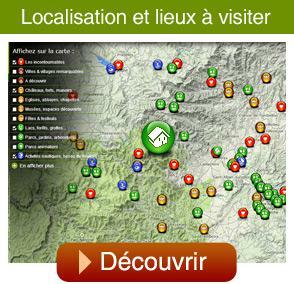 Discover our region on LocaGuide ! Salamandre Cottage is a member of the Charme & Traditions' network.